TOY LINES! The AFB Caption Contest! Round One up now! I mentioned in my last post that a new AFB Contest was on the way, and now - here it is! Introducing "Toy Lines!" 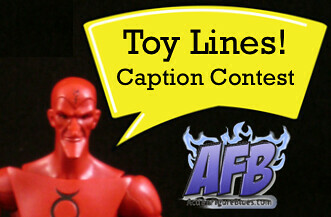 - the AFB Toy Caption Contest! Everyone loves a caption contest, but here's one with a difference. 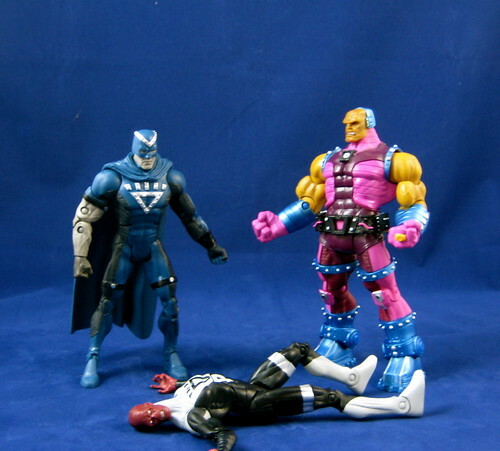 Your task will be to provide captions or speech bubbles that go along with photos of action figures that I'll be posting. There will be four rounds of "Toy Lines! ", each lasting 10 days, starting with the Round One Pic I'm posting today (see below). The winners of each round will be decided by me, and once all four rounds are over, the four winning photos will be put up to a vote here on the site for the AFB Readership to decide the ultimate winner. The overall winner will receive a Mattel Masters of the Universe Classics Eternian Palace Guards Two Pack, like the one reviewed here. The prize will be an unopened version still sealed in its white mailer box. You are allowed to save your own copy of the photo for each round and edit it to present your entry. Only one entry per person per round is allowed. You may enter each round, even if you have won a previous round. You do not have to give "lines" to every toy in the photo. How you script it is up to you! Once we have completed four rounds, I will post the four winning photos here at the blog and post a poll for AFB readers to vote for the winner. This will be a blind poll and will run for 15 days. The reader vote will determine the winner. The winner will receive the MOTUC Eternian Palace Guards Two-Pack with standard shipping. The winner may add express shipping or insurance at his/her own expense. You may post your entries in this thread at the AFB Forum. If you're not yet a member of the forum you can register for an account here. 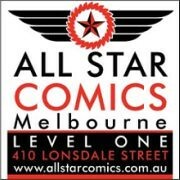 Please post any questions either here at this post or at the forum. Most importantly, be creative and have fun! As always, you can comment on this post to enter the AFB Comment of the Month Contest! Does me being naturally hilarious create any bias?